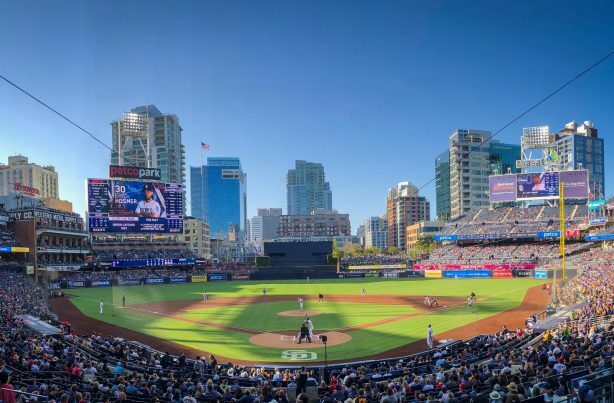 Catch the San Diego Padres take on the San Francisco Giants at Petco Park for the home opener series. The opening day game is sold out, but tickets are still available for Friday through Sunday games. Game day events and promotions include: Friday – Beerfest; Saturday – all-fan giveaway 50th Anniversary Swingin’ Friar Bobblehead, Fireworks Show; Sunday – First 15,000 fans giveaway Padres & Puppies Calendar, KidsFest, Friar Family Days, Kids Run the Bases. East Village is ready to hit the ball out of the park with this free, family-friendly, two-day block party on “J” Street between 6th & 10th. This San Diego tradition is a fan-favorite in welcoming back the “Boys of Summer” to East Village’s very own PETCO Park. Water Lantern Festival is filled with fun, happiness, hope, and great memories that you’ll cherish for a lifetime. This is a family friendly event that can be shared by everyone. Enjoy local food trucks, music, and the beauty of lanterns lighting up the water at sunset. This hilarious interactive show puts visitors right in the middle of the pirate action. Participants will be sworn in as part of the ship crew, trained how to navigate, sword fight, bail water from a sinking ship, escape from the Kings Jail, swab the deck and other pirate skills. The Kia Classic features 144 of the best women golfers playing for the $1.8 million purse. 2018 Kia Classic Champion Eun-Hee Ji will be back to defend her title.